This 16-year-old C. japonica chance seedling first bloomed in 2002. It was originated, registered and propagated by Vernon E. Howell of Lucedale, Mississippi. 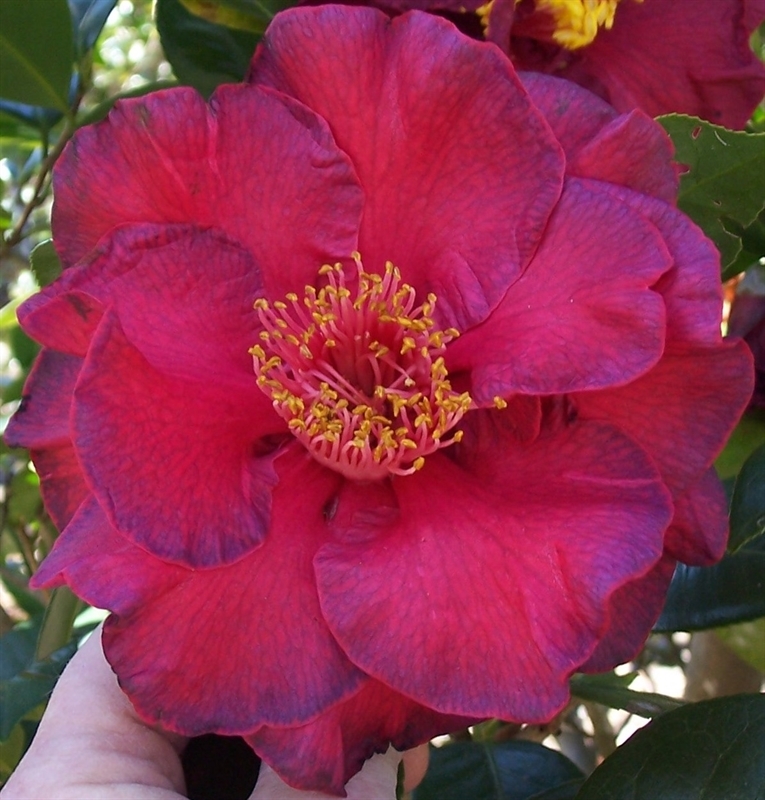 Bloom: The very large sized 6” x 3” semidouble form flower is deep red with black trim. It has yellow anthers and pink filaments. The bloom consists of 9+ petals. It is a profuse bloomer. The flowers fall in one piece. It has long lasting blooms with consistent form. The black trim on the petals is not dependent on cold weather.